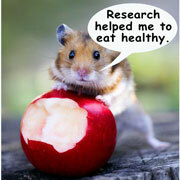 Study on mice shows fasting improves health as much as cutting calories. Periodic fasting and cutting calories is proven to increase health and lifespan. Several recent studies have reported a variety of benefits from a sharply restricted diet, including longer life span, increased insulin sensitivity and stress resistance. In the new report, mice that were fed only every other day – but could gorge on the days they did eat – saw similar health benefits to ones that had their diet reduced by 40%, a team of researchers reports in Tuesday’s online edition of Proceedings of the National Academy of Sciences. But the new study by Mark P. Mattson and colleagues at the National Institute on Aging found equal benefits for mice that ate only every other day, but didn’t cut total calories because they ate twice as much on days they weren’t fasting. Mattson said a study is in the planning stages to compare the health of a group of people fed the normal three meals a day with a similar group, eating the same diet and amount of food, but consuming it within four hours and then fasting for 20 hours before eating again. Dr. Carol A. Braunschweig of the University of Illinois at Chicago, who was not part of the study team, said she was intrigued by the suggestion that a drastic change in eating patterns might have benefits. “With the current epidemic of obesity and physical inactivity facing the U.S. today, identification of a beneficial eating pattern that could address some of the untoward effects of excess weight would be a very significant finding,” she said. Mattson said an earlier study found that mice that fasted every other day had extended lifespans and the new experiment found the mice also did better in factors involved in diabetes and nerve damage in the brain similar to Alzheimer’s disease. He said the researchers think this stress occurs throughout the body, and that may be the reason fasting seems to increase lifespan and the animals become more resistant to the diseases of aging. The dieting mice consumed 40% less food than mice eating normally and lost nearly half their body weight (49 percent) in the experiment, while the fasting mice weighed only a little less than mice eating normally. In recent years, some nutritionists have recommended eating smaller amounts more often, but this study did not deal with that type of eating pattern. In the new report, the researchers said both the fasting mice and those on a restricted diet had concentrations of blood sugar and insulin that were significantly lower than mice allowed to eat whenever they wanted. 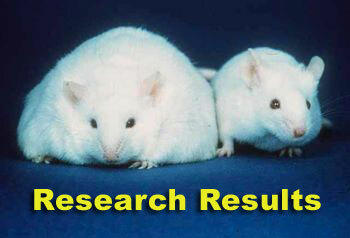 Indeed, insulin levels in the fasting mice were even a bit lower than the dieting ones. At the end of the experiment all three groups of mice were injected with a toxin that damages cells in the part of the brain called the hippocampus. It’s cell damage there that that is involved in Alzheimer’s in humans. 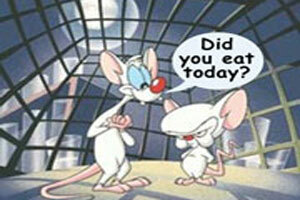 When the mouse brains were later analyzed the scientists found that the brains of the fasting mice were more resistant to damage by the toxin than the brains of either dieting mice or those eating normally. The above research proves that periods of fasting will improve health even if the food intake is doubled the next day. Calorie reduction also causes a detoxification with health benefits similar to fasting. The research was first published in 2005. The photo below is “our” estimation of the results.